Remembering what we want to buy when going shopping is a problem that plagues many members of the human race, so naturally, we use apps to fill that gap. Of the most popular of said apps is Out of Milk, an Android-only application which has just been acquired by Retale, which will nearly double the latter's userbase in the process. Retale, if you're unaware, is a "provider of mobile-first shopping experiences" in the US. Its app features deals, coupons, vouchers from large brick-and-mortar stores, plus the ability to follow your favorite retailers. Presumably, Retale thought it would be easier to purchase an existing shopping list app instead of making one from scratch (in today's bloated, cramped app environment, it's probably a fair assumption), and Out of Milk came out on top. Shopping lists. If you're in charge of food for a house with a lot of people, or just like to cook, they are a necessary evil. How much do I need? Do I have some of that chicken left in the freezer? Is there enough cayenne left in that bottle for this recipe? You get the idea. 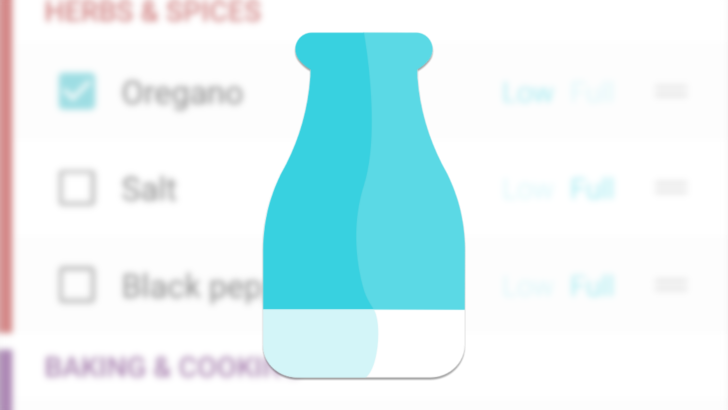 Out of Milk aims to solve these problems and more - it's an app devoted (almost) solely to the organization of your food purchases and pantry stock. OK, so just how much better can you make organizing a shopping list? I've always gone the route of copying/pasting ingredients from recipes into an e-mail, so I know just how much I need and know that my list is complete.